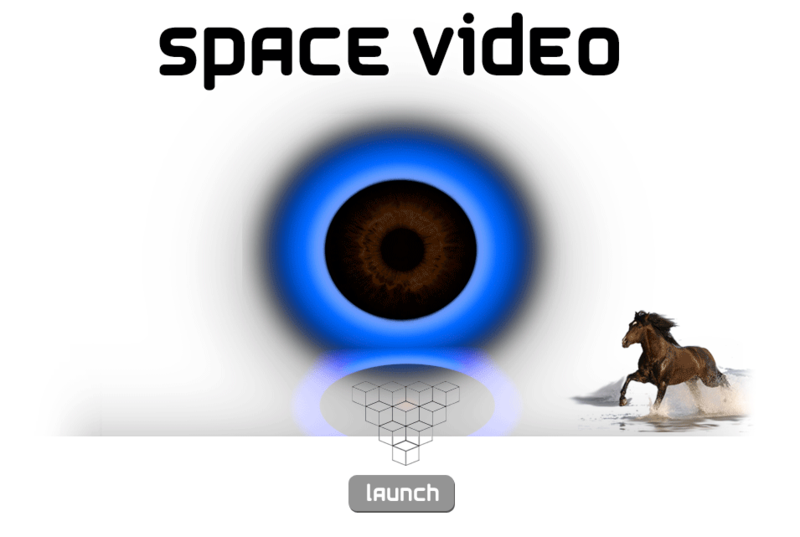 Space Video addresses ideas of exploration in relation to inner and outer space. Having noticed that there are shared aesthetic qualities of video imagery that accompany disparate cultural and scientific phenomena including guided meditation, hypnosis, undersea and space exploration by NASA, motivational speaking, powerpoint backgrounds, science fiction, psychedelic drug culture, electronic music, popular spirituality, and computer effects, we have built a generative system that mixes an original non-linear narrative with YouTube videos on these subjects as they are uploaded in real time. These videos often attempt to portray what are ultimately non-visual spaces, producing images that are at once placeholders, images of the transcendental, trippy intergalactic stereotypes, and fields for persuasion. Kate Armstrong is an artist, writer, and independent curator producing exhibitions and publications in contemporary media art in Vancouver, Canada and internationally. Her work engages with the internet, particularly in relation to perpetual narrative forms and intersections between networked culture and print. Recent exhibitions include Akbank Sanat (Istanbul), Pace Digital Gallery (New York), and a solo show at the Prairie Art Gallery (Grande Prairie, Alberta). Forthcoming in 2012 is a solo exhibition at Unit/Pitt Projects in Vancouver in connection with the publication by Publication Studio of her 12 volume book, Path. Michael Tippett is a two-time Emmy nominee and entrepreneur recognized as an international expert on early stage business innovation and emerging media models. He started and sold NowPublic, has served as the Executive Director of Growlab, and is currently the CEO of Ayoudo. In a 2005 commission for Turbulence Armstrong and Tippett produced Grafik Dynamo, which loads live images from the internet into a live action comic strip. Grafik Dynamo is held in the Rose Goldsen Archive of New Media Art in the Division of Rare and Special Collections at Cornell University in Ithaca, New York. Space Video is a 2012 commission of New Radio and Performing Arts, Inc. (a.k.a Ether-Ore) for its Turbulence website. It was made possible with funding from the National Endowment for the Arts. Music for Space Video was composed and produced by Thomas Aston. Aston is a sound artist and electronic musician based out of London, UK and Toronto, Canada. Aston has produced original audio for Space Video which includes sound sampled from a purpose-built very low frequency radio telescope that monitors the sound of the Sun striking the Earth. His debut EP will be released by Hybridity Music in Spring 2012. Special thanks to Evan Strukoff for invaluable technical advice and assistance.